Should You Go with a Living Trust? June 5, 2013 April 18, 2013 / Julie Brook, Esq. Is a revocable trust—sometimes called “a living trust”—right for you or your client? A trust is like a time-share: the time for enjoyment of property is divided with one person getting it for certain period of time, often for life, and others getting the property after the end of that period. “Settlor” is the person who sets up the trust. “Trustee” is the person administering and distributing the trust property. “Revocable trust” is a trust the settlor can revoke or change the provisions. A revocable trust or living trust serves both as a testamentary instrument to transfer property at death and as a management tool during the settlor’s lifetime. Generally, the settlor is the primary beneficiary of the trust and serves as the initial trustee. The trust document also provides for appointment of successor trustees who can assume responsibility if the initial trustee resigns, dies, or becomes incapacitated. may avoid probate of the estate on death of the settlor. Trusts created by will can have the same features as a living trust after death but often require expensive and public probate proceedings, and conservatorship proceedings are more often needed without a living trust for estate management during periods of incapacity. One of the most common client misperceptions is that assets held in a living trust are not subject to estate taxes. A living trust may offer opportunities for tax planning, but it doesn’t prevent the imposition of an estate tax when the size of the estate otherwise requires it. There are also disadvantages to using a living trust. The lack of court oversight makes it relatively easy for a trustee to abuse his or her powers by self-dealing or converting trust assets to his or her own use or benefit. Even the most well-intentioned trustee may inadvertently create a legal mess by acting, or failing to act, without proper legal advice. Other potential problems may limit the effectiveness of the trust. A poorly drafted trust may require court intervention to interpret the settlor’s intentions, undo provisions that may be disadvantageous from a tax standpoint, or make other modifications if problems are discovered when the settlor no longer has the legal capacity to amend the trust unless an agent is given that power. 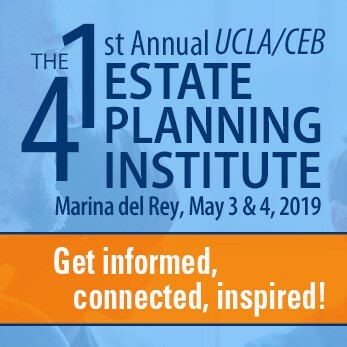 This is just an overview, but CEB takes you deep into the world of living trusts and other estate planning devices, including drafting tips and samples, in our Complete Plans for Small and Mid-Size Estates, Drafting California Revocable Trusts, and California Will Drafting. 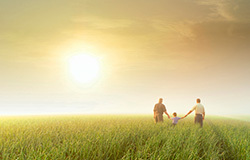 Also check out CEB’s program Drafting Revocable Trusts I: The Basics, available On Demand.